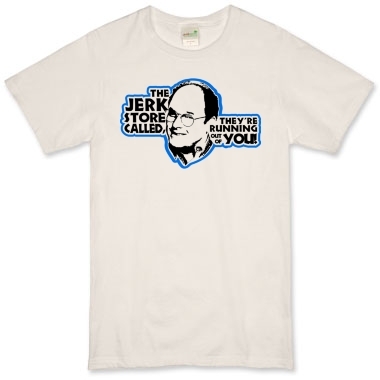 Hilarious Memorabilia Tee Shirt For Seinfeld Fans! Our Seinfeld Tee Shirt remembers the episode of Seinfeld called "The Comeback" where George gets slammed by a joke in a meeting and drives himself crazy because he believes he's come up with the perfect come-back to the joke, "Oh yeah? 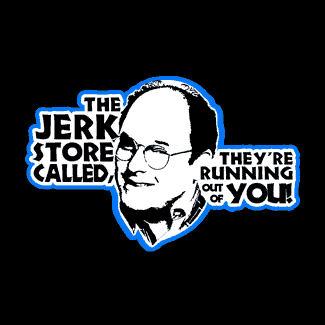 Well the Jerk Store called, they are running out of you!" 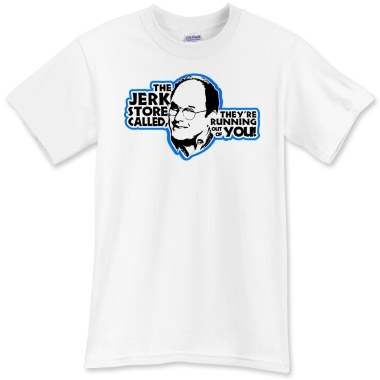 It's a hilarious episode that any Seinfeld fan will remember with a smile and this tee shirt design certainly relives it. 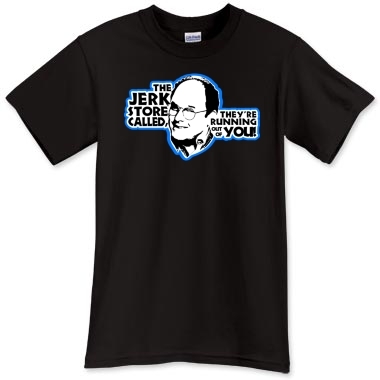 These tee shirts are available on many great styles and colors for all ages in your family.